Looking for a hassle-free ride to your destination, in Bhubaneswar? Sand Pebbles’ a/c Tempo Traveller Price in Bhubaneswar is undoubtedly the best. The service you get is the best in the city. Renting a Tempo Traveller is a great way to travel if you’re travelling in a group. a/c Tempo Traveller can be the ideal big vehicles for short/long distance travel or any other tour. Sand Pebbles’ offer the best Tempo Traveller Price in Bhubaneswar. 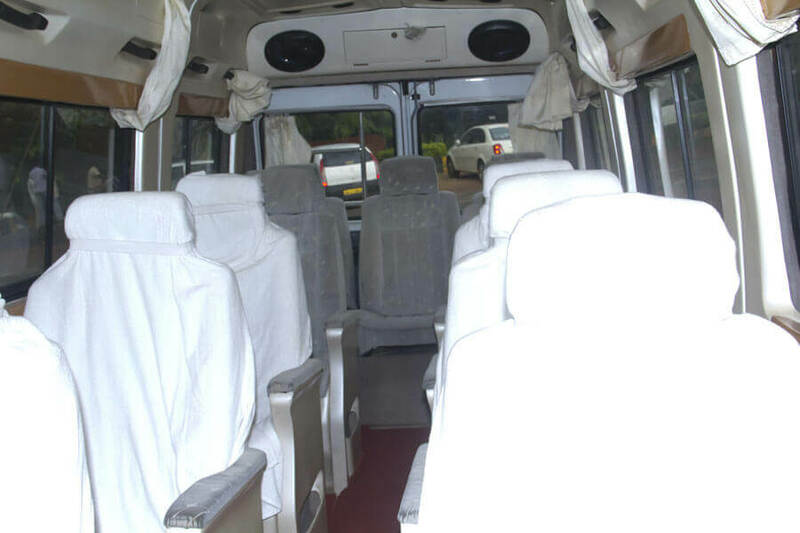 We offer a variety of Tempo Traveller for rent including Tata Winger 15, 17, 19, 21 seaters. Our team will help you plan your perfect trip without any hassle. Our drivers have an in-depth knowledge, making sure your trip runs smoothly. Check Tempo Traveller Price in Bhubaneshwar to get a glimpse of our services. We put a lot of thought and effort into client satisfaction so that they can have a comfortable and relaxing journey. Visiting Odisha for the first time? Or have a day of sightseeing booked? You should hire 25 Seater Tempo Traveller if you are travelling in a group. With so much to see in Odisha, hiring a Tempo Traveller is the best way to get around and see everything. Be assured of your safety and comfort, during the journey, since all vehicles are well examined before renting out. 24 hour Service– We provide 24-hour service to all our clients, without any delay. We are one of the Best tempo Traveller in Bhubaneswar, providing quality services to our clients. Quality– We are always dedicated to serving our clients with utmost satisfaction. All our Tempos are 5 stars rated. We are the only passenger transport company in India with a customer service excellence award through The European Foundation for Quality Management. Driver Training & Safety– We ensure our drivers have proper training and assessments before client servicing. We ensure our drivers have First-Aid training for emergency hazards. Each tempo is inspected before leaving our premises.